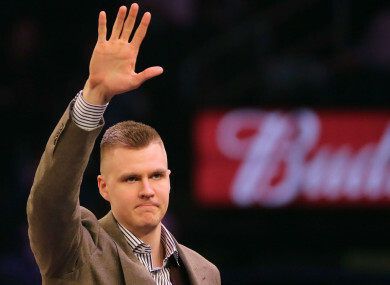 Kristaps Porzingis, who is leaving the Knicks for Dallas. The move was then officially confirmed in a media release from the Knicks. They have received Dennis Smith Jr. and the expiring contracts of DeAndre Jordan and Wes Matthews in return for Porzingis, while the Mavs also get Courtney Lee, Tim Hardaway Jr and Trey Burke as part of the deal. Email “Mavericks acquire Kristaps Porzingis from Knicks in stunning trade”. Feedback on “Mavericks acquire Kristaps Porzingis from Knicks in stunning trade”.